Okay team, I have spent countless hours on pinterest. I just thought I’d get that out there in the open. 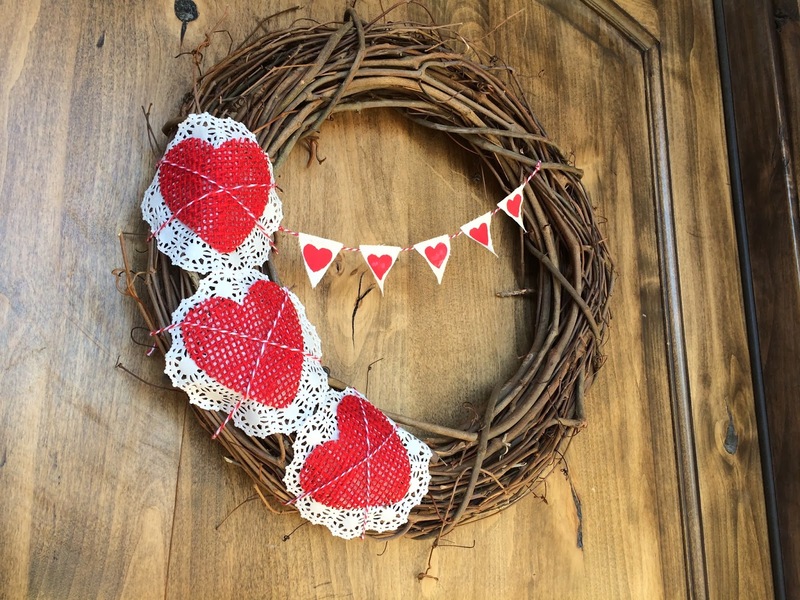 Anyway, I was looking for a simple Valentines Day wreath and couldn’t find anything that looked like a (do it in an hour or less) easy project. So here’s what I came up with…. Ta-Da! Hot glue the burlap and doilies to the wreath. Then crisscross bakers twine and tie it in the back. 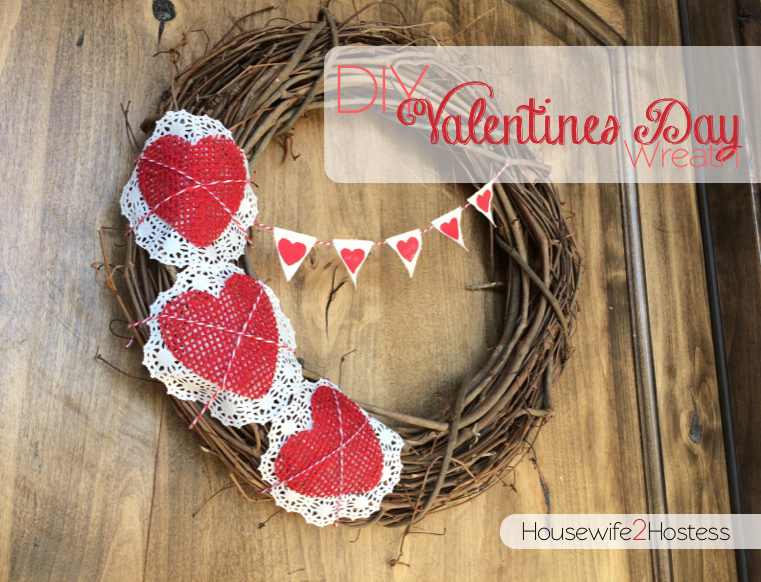 Use a piece of bakers twine to hold the mini bunting and hot glue the (pre-painted with hearts) fabric to the twine. Hang it across the wreath and PRESTO! You’ve made this! Hang it on your door and post a pic on FaceBook.